BMW was already a household name in motorsport, both pre and post War. In 1968, the flourishing BMW released what was designated internally as the E9. Starting with the 2000CS as a basis, the design was adapted to hold the BMW M30 straight 6 engine, as used in the earlier E3, which formed the 2800CS. With an increased wheelbase and length to allow the engine bay to be long enough to accommodate the larger six-cylinder engine, along with a smaller frontal area and lighter weight, the performance was markedly improved over the earlier 2000CS. At the time that the new 2800CS was released, BMW had a strong presence across Europe on saloon car grids. Already the frontrunner with first the 1800 TISA, the 2000 TI and then the 2002, the E9 2800 was to take over the mantle and raise the game, marking the beginning of the larger capacity Group 2 era. 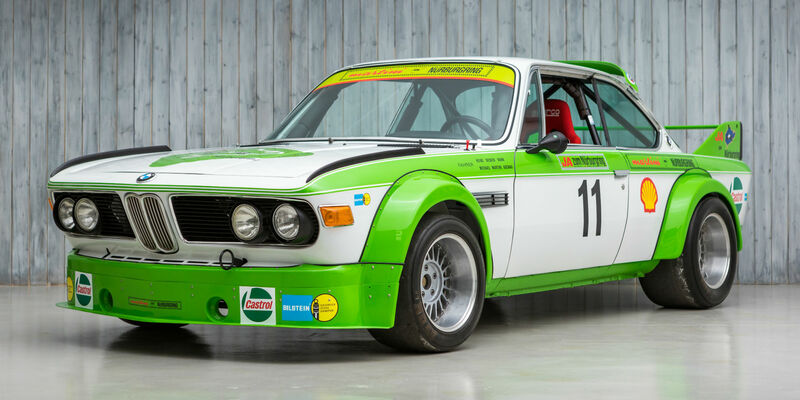 Soon the 2800CS became the 3.0 CSL, and tuners like Alpina and Schnitzer set to work in developing to the maximum allowed by the Group 2 ruleset used in European Touring Car racing. 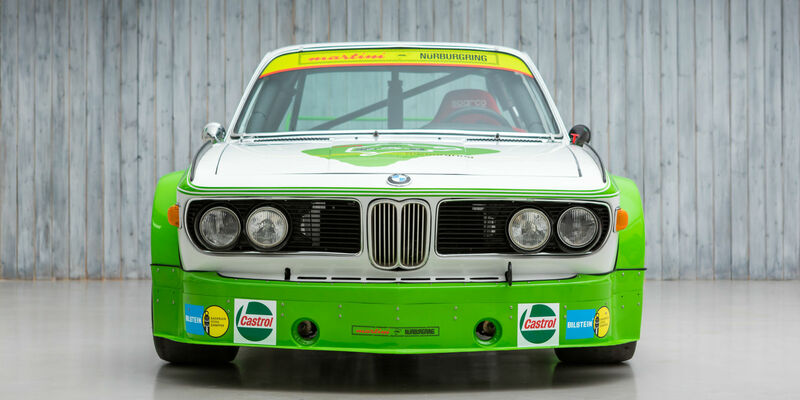 With BMW’s six-cylinder CSL taking so much success in European Touring Car racing, Nurburgring local, BMW dealer and racing specialist Willi Martini was not one to be left out! Willi Martini was a seminal figure in BM W’s history and was instrumental in its involvement with motor sport. Established in 1958 at the Nürburgring, his operations came to comprise a BMW dealership, a service facility, a race team, race car preparation facilities, a wing for the design and development of ‘tuning’ parts for customers and even production operations for bespoke custom BMW-based race cars, ranging from 700-derived touring cars to sports prototypes to Formula 2. 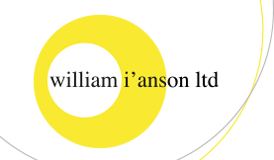 He was a pioneer in many technologies, including the use of fibre glass for racing car bodywork. An avid driver as well as engineer, he counted among his friends and customers many motorsport legends like Fangio and Von Trips. 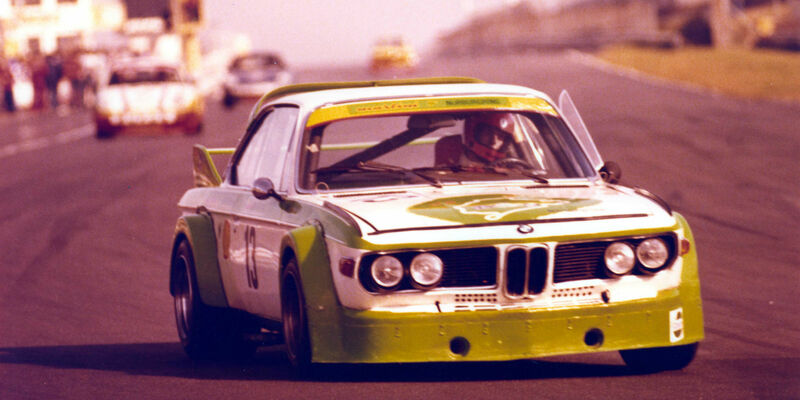 In his workshop base at the Nurburgring, around 1976, he built a CSL coupe for Group 2 using a body shell which had been provided to him by the factory. The 12-valve six-cylinder engine was initially of 3.0-litre capacity, tuned with their own skills using three double choke Weber carburettors. The Martini ‘mannschaft’ reinforced the BMW supplied shell around suspension pick up points, and fitted it with the necessary safety equipment that the rules required. They made the Group 2 wheel arches to Alpina specification to cover the wide, aluminium rimmed Alpina split-rim wheels. When completed, the Martini CSL weighed just 1062kg and was capable of 168 mph on the long straight of the Nurburgring Nordschleife. Willi Martini had his eldest son Michael race the CSL with Heinz Becker typically in the Endurance Cup and German Touring Car Championship, with Hannes Schneid occasionally driving too. It wasn’t long before they changed engine specification, running with a 3.2-litre six-cylinder on slide throttle injection. The initial Martini CSL suffered an accident during 1978, and was rebuilt for 1979 on a new body shell, number 001/79, this car. 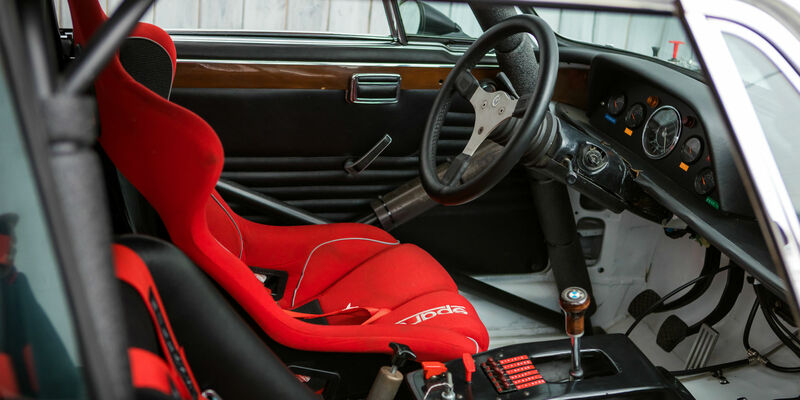 It featured the same 3.2-litre injected engine, gearbox and running as its predecessor, and was completed in time for the beginning of the 1979 season. 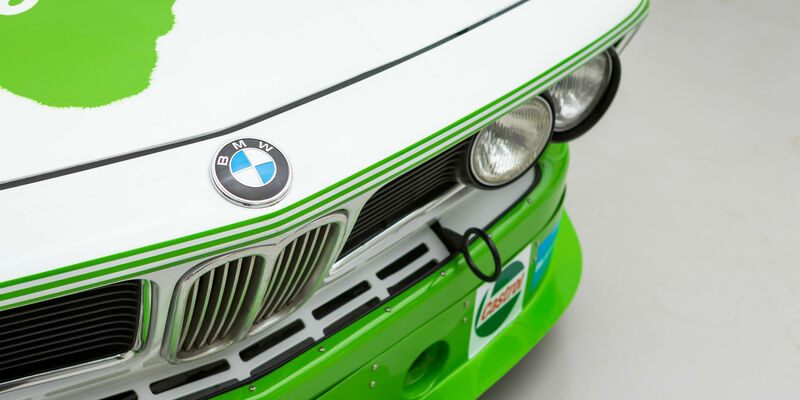 Painted in the distinctive Alpine white and bright green livery with Nurburgring track murals, the CSL was inspected by German motor racing authority, the ONS, on the 5th April 1979 and granted it’s Wagenpass which features colour pictures of the Group 2 challenger. For 1979, the Martini team focused on the long distance championship, the Valvoline Langstreckenpokal. The newly rebuilt Martini CSL made its race debut just two days after the ONS inspection, in the Nurburgring 4 Hour race, titled the ADAC Ahr Rotwein Trophy. 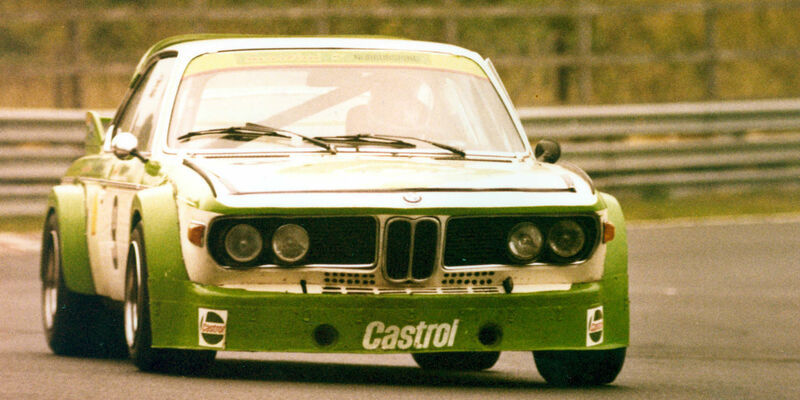 Sporting number 11, the CSL was driven by Heinz Becker in the 25 lap race but he was not classified. At the following round, the 333 mile long Sieglarer ADAC 333 Meilen Rennen on the 5th May, the Martini CSL was evidently not ready for the race as Becker and Martini instead drove a near standard CSL Coupe. Two weeks later it was however, with Becker and Martini again teaming up. In the 6 hour long International ADAC Rundstrecken Trophy, the Martini CSL carried number 11 once more and performed faultlessly to claim victory in the over 2-litre Group 2 class. A sprint race on the short circuit followed the 333 mile main event, where Becker took another win in the over 2-litre Group 2 class, this time with the CSL wearing number 25. The Martini CSL was entered for the Nurburgring 1000km round of the World Sportscar Championship on the 3rd June with Becker and Martini due to drive the car, sporting number 51. The race was recorded in the CSL’s Wagenpass log but it did not complete the event. 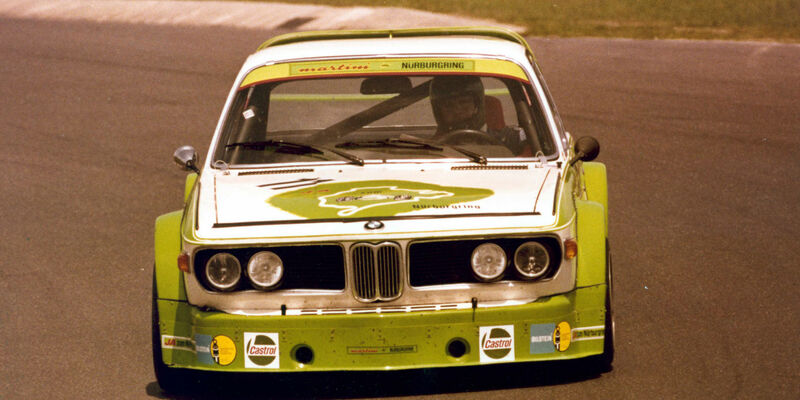 A week later, on the 9th June, Becker and Martini raced the CSL in the ADAC Bilstein Cup, a 600km race. With number 10, the pairing took another over 2 litre class win. On the 7th July, the Martini CSL did the Großer Preis de Tourenwagen Nurburgring, a round of the European Touring Car Championship. Becker and Martini shared with Adolf Engel using race number 4. The trio qualified the CSL in 5th amongst some very distinguished competition, and finished the race in 7th. On the 15th July, Becker raced the CSL in a sprint race on the short Nurburgring circuit with number 147, but the results aren’t recorded. Michael Martini drove the car in another sprint race, the ADAC Nurburgring Trophy on the 22nd July with number 21, with the results also not being recorded. Engel drove with them again on the 28th July for a 4 Hour Valvoline Cup race, with number 9 although the result was not recorded. 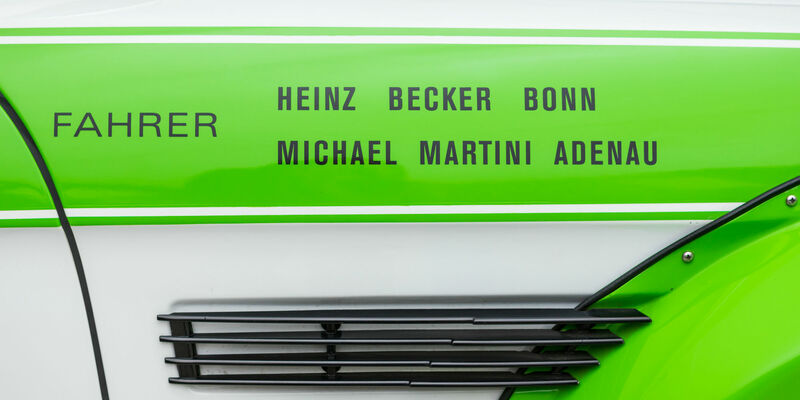 Becker and Martini returned to dual driving for the ADAC Reinoldusfahrt on the 4th August at the Nurburgring with race number 11. They flew to yet another over 2-litre Group 2 win. On the 18th August they competed in the RCM Grenzland-Rennen with Engel joining them once more. With number 9, they won again! On the 1st September, the trio competed in the CSL in the ADAC Barbarossa Preis 4.5 hour race, where they proceeded to win the over 2-litre Group 2 class. 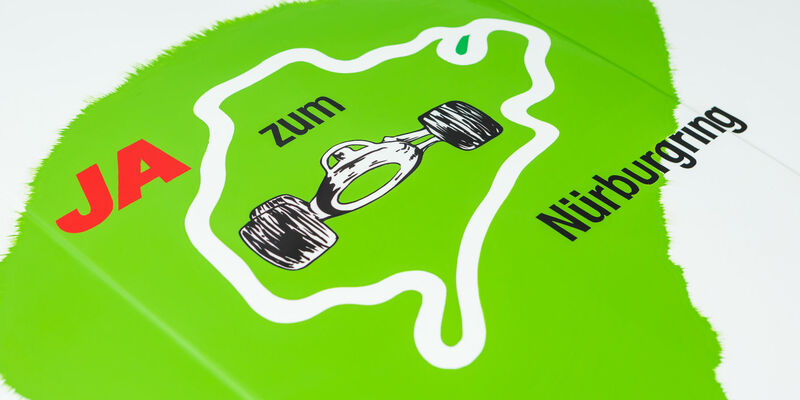 On the 20th October, they raced in the DMV 250 Meilen-Rennen with number 13. The CSL racked up yet another win in over 2-litre Group 2. Becker drove solo in the ADAC RBG Rundstrecken-Rennen sprint race on the 21st October, winning again in the CSL. The final DMV round was the 4 hour long Münsterland Pokal on the 27th October. With Becker and Martini having scored so many wins with the CSL in 1979, they competed at the final round in a 2002 with the hope it would yield more points thanks to the high number of class entries, and help them to the title. Having swapped cars with the 2002’s regular drivers Hans Weisgerber and Richard Bremekamp, the CSL would be driven by them instead. The CSL did not make it round the first lap however, when it was tagged on a rear wheel and spun out, breaking a wheel arch and rim. 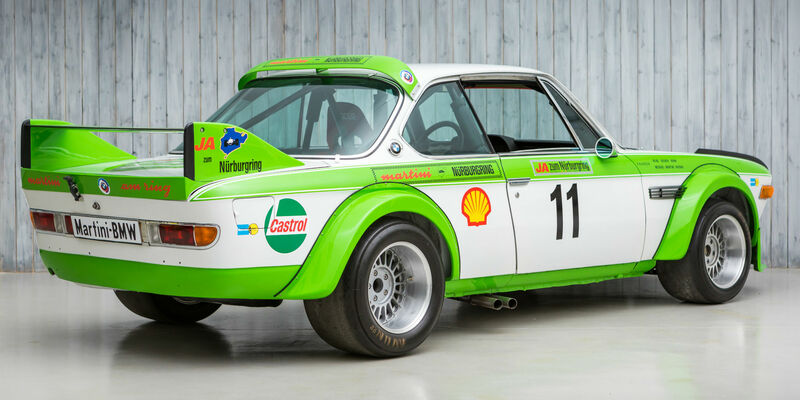 The homologation for the BMW CSL model expired with the close of 1979, and Willi Martini began upgrading the CSL into Group 5 specification in order to continue running the car. However, the Valvoline Trophy organisers changed the rules, resulting in Group 5 cars no longer being eligible. 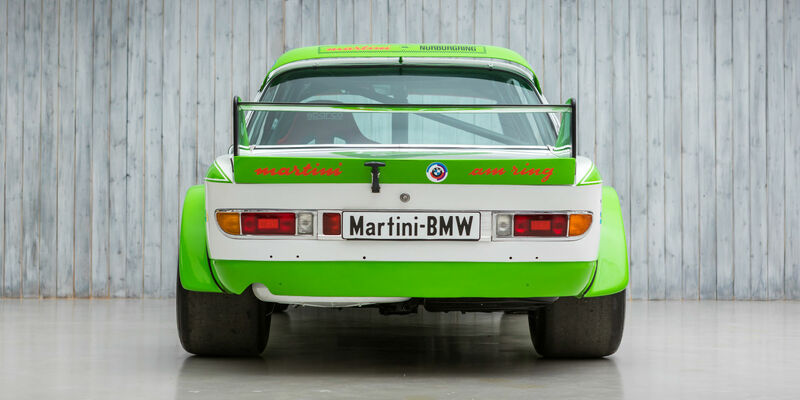 Willi Martini instead built a BMW 535i Group 2, using a number of the parts from his CSL. Later, Martini’s race team and dealership business would be bought out by BMW and his son Michael would become the first ‘Ring Taxi’ driver. The by now Group 5 wheel arched CSL was put into storage before Martini sold it to Helmut Steinbrink in Voerde, Germany. From Steinbrink it was bought by Jimmy Baker via a Dutch classic car dealership, and Baker exported the CSL to the United States. 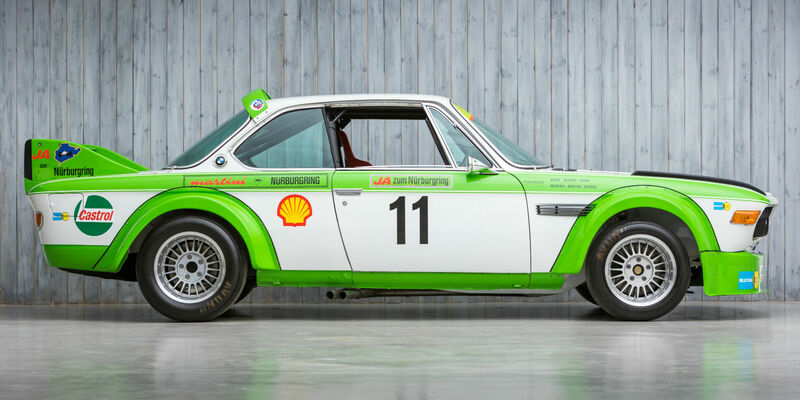 Based in Alabama, Baker was a longtime BMW CSL enthusiast who found the car and added it to his collection in 2004. A letter from Michael Martini to Steinbrink in 2003 confirmed both the background of the Martini CSL and its clear ownership history. The CSL remained in Baker’s care until in 2012, when the current owner bought it from him. When it arrived in Ron Perry’s workshop, the CSL was in works BMW colours with the Group 5 arches still present and set up for road use. The current owner then undertook the restoration of the Martini CSL with the help of Ron, a man very familiar with CSLs having previously restored one for Bobby Rahal. Over a period of several years, correct Group 2 parts were tracked down for use in restoring the Martini CSL. 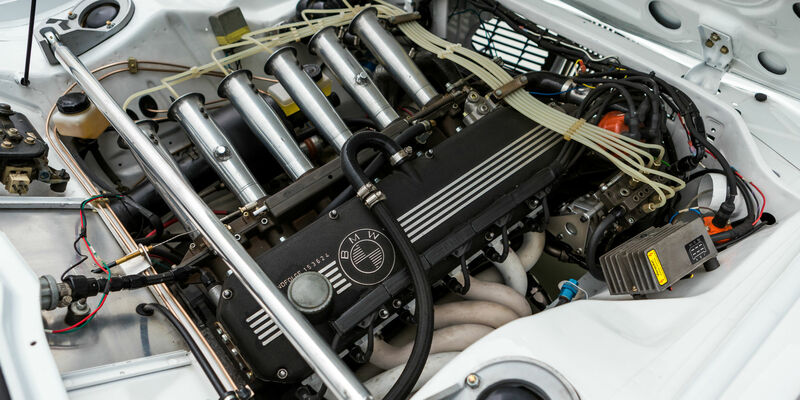 Period correct BMW12-valve engine parts were collected, coming in the form of an Ex – Jolly Club engine from Italy with correct Alpina slide throttle injection, and others coming from Alex Elliott in England. The engine was built to 3.2-litre, as it was run in period, with original block, head, injection and other parts, complemented by new parts from experts like Lester Owen where needed. On completion the engine produced 340hp when run on a dyno. A period Getrag 4 speed gearbox with long 1st gear and close ratio 2nd, 3rd and 4th ratios was found, along with a correct Alpina diff complete with the oil cooler. A set of period correct Alpina Group 2 front and rear suspension was also sourced, followed by a pair of closed back, four pot Lockheed front brake callipers as were used in period. The body shell was stripped and Group 5 bodywork removed. The shell bears all the evidence of its period racing history with Martini, from left rear wheel arch damage in its final race, to strengthened suspension points, roll cage mounts, and other racing tweeks. The project was aided further by Art Simonds, one of the first people to help in CSL development in period. Aside from providing invaluable insight, he was key in getting the Group 2 bodywork just right. A correct front spoiler was found, and Art reconstructed the period wheel arches for the restoration. A new steel roll cage was made, replicated the original Matter aluminium cage as used by Martini in period, mounted to the original holes. 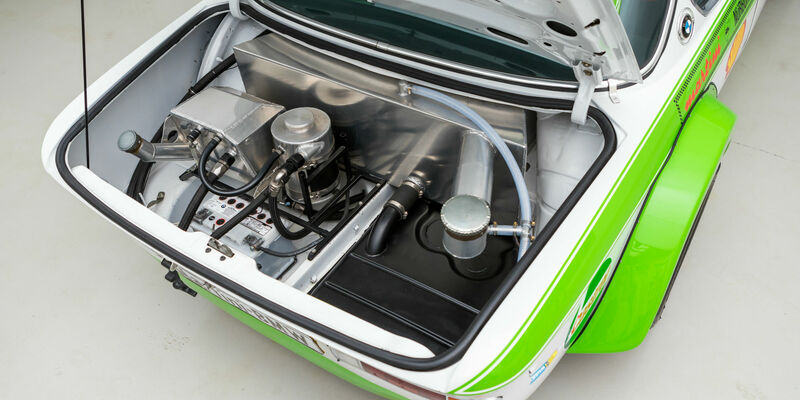 A bag tank fuel cell was fitted inside a period outer, and the dry sump equipment was plumbed up inside the boot as it was in period. 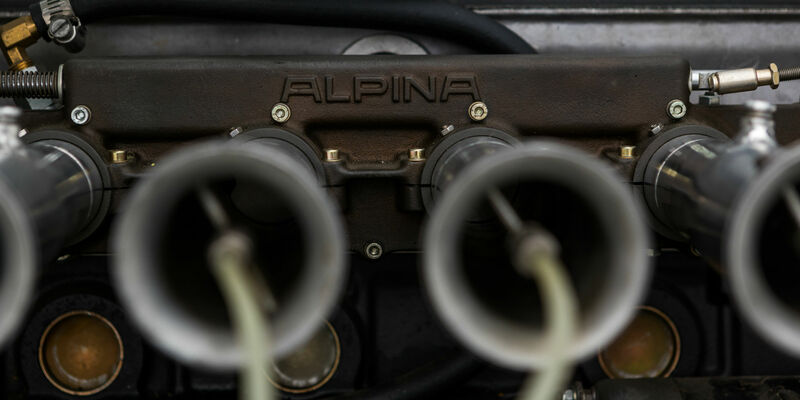 An original set of sand bent Alpina exhaust primaries were acquired, along with a period Sachs racing clutch. 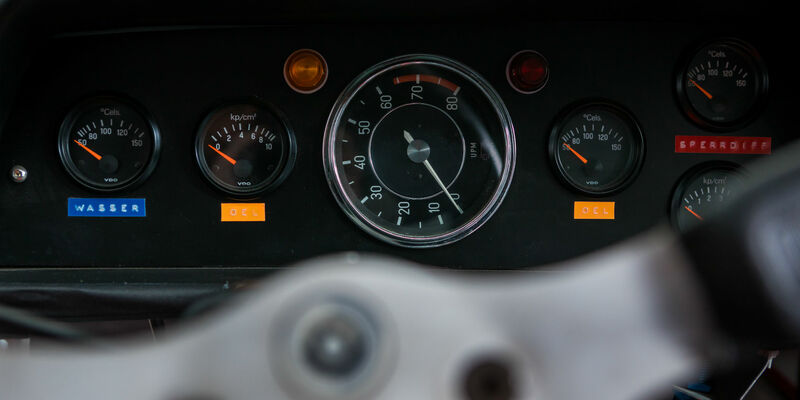 A 1970s Dymag label machine was found to round off the detail, with the gauges being authentically labelled in German. The restoration was completed in time for the car to make its public debut at the 2016 Monterey Motorsports Reunion, where BMW was celebrated as the featured marque. FIA HTPs were applied for and obtained for the CSL, granted in 2016. In 2017, it returned to the Pebble Beach week, on show at Quail Lodge where the hugely impressive level of period detail could be appreciated away from a race circuit. Today the Martini CSL is as restored in California, while here with us in England and with EU taxes paid. Lovingly rebuilt to its former glory by passionate owner and BMW experts alike, the Martini CSL is a car which is equally at home on the concours lawn as the race track. 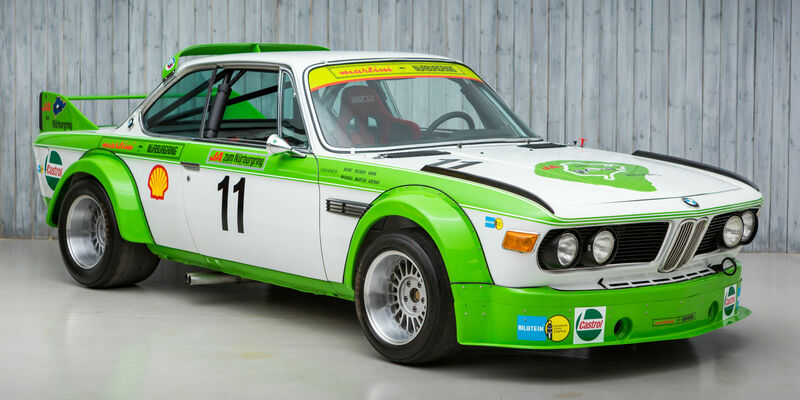 Accompanied by 2016 FIA HTPs and in date safety equipment, along with a history file containing the original Wagenpass, correspondence with Michael Martini and an extensive photographic record of the restoration; the CSL is a prime contender to compete in Peter Auto’s HTCC, the Tour Auto, Le Mans Classic and so much more. Built by BMW dealer and Nurburgring based racing specialist Willi Martini on a factory supplied shell in late 1978 to take on the Nurburgring in 1979. Driven by his son Michael, Heinz Becker and occasionally Adolf Engel to a string of Group 2 victories on the Nurburging in 1979, including being entered for the World Sportscar Championship round and finishing 7th in the European Touring Car Championship round. Bought by the current owner in 2012 having been partially converted to Group 5, by Martini. Restored back to period Martini glory with the help of BMW experts, utilising a large number of original components and featuring a staggering level of detail. Accompanied by the original Martini Wagenpass, correspondence from Michael Martini, photo log of the restoration and 2016 FIA HTPs. The Martini CSL is a veteran of the Quail Lodge concours, was a key part of the 2016 BMW celebrations at Monterey Motorsports Reunion and will be equally at home on the circuits of Europe as an eligible entry for Peter Auto’s HTCC, the Tour Auto, Le Mans Classic and much more.